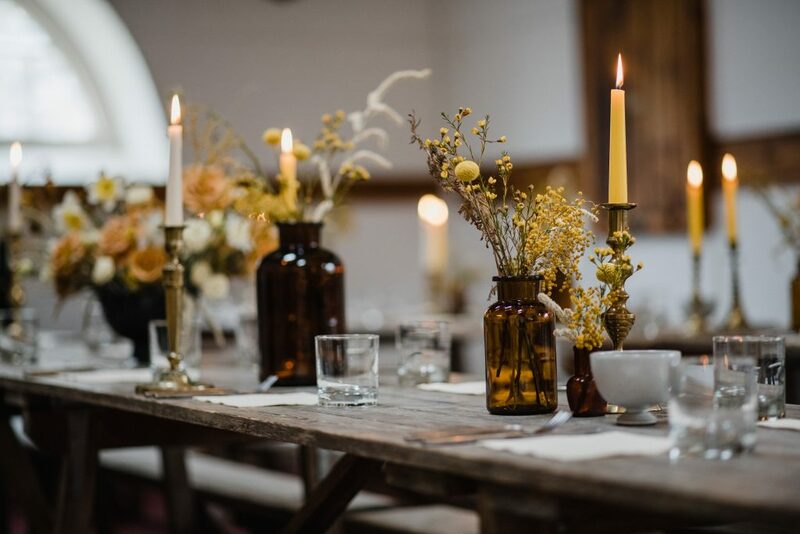 On Saturday 2 March couples were invited to explore Boconnoc in all its glory styled beautifully by a team of our favourite suppliers. The weather was certainly on our side, sun beams poured into the House and Stable Yard as couples and their bridal team perused the unique spaces and wondered about all the magic they could create. 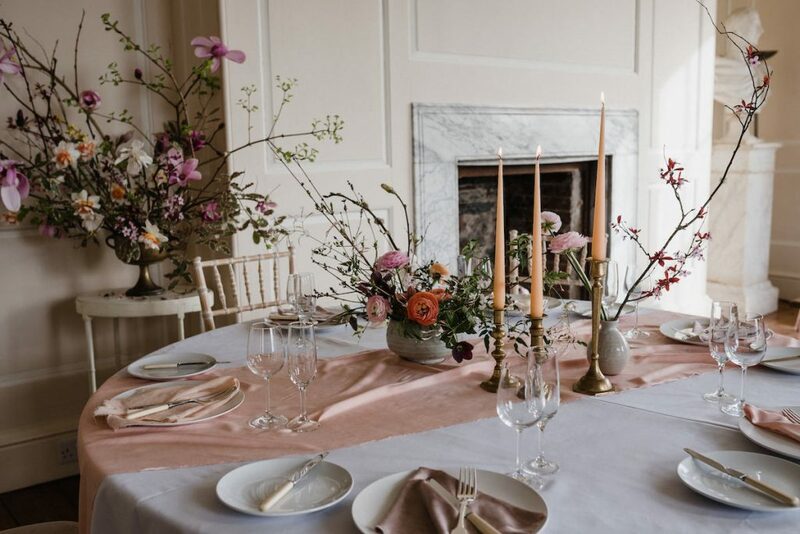 In the light and airy Garden Room tables were elegantly styled by Becca of The Garden Gate Flower Company, with ever so delicate stems, pretty pottery and pastel runners. Towards the other side of the Garden Room Simon Nickell and Lester Gethings collaboratively styled three unique tablescapes; one perfectly romantic blossom set up, a feast for the eyes jewel table and a woodland inspired creation which had everyone talking. Charles Fox wowed with his usual levels of artistic flair with inspirational blooms in the entrance hall, as the sweet sounds of The Cornwall Quartet floated through the house. A quick step through the double doors off the Garden Room opened out onto the extension marquee; this particular marquee was a bespoke design by LPM Bohemia including Palladian window features and a stunning patterned lining. 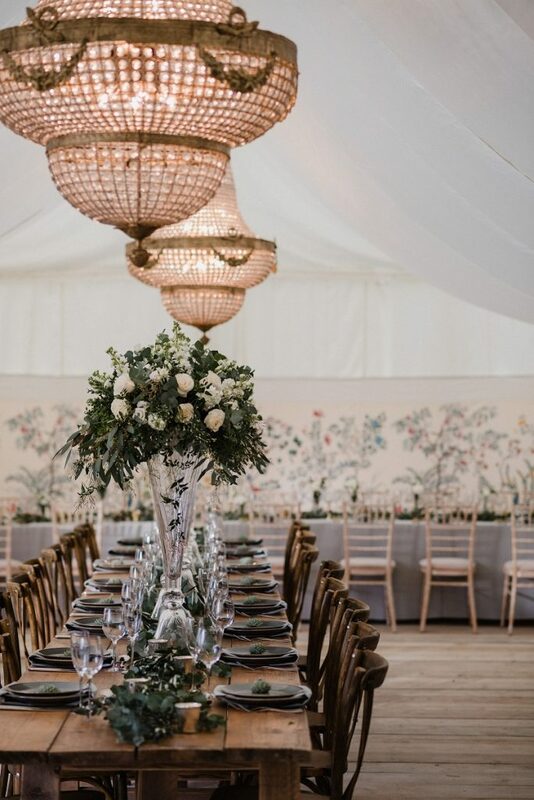 This was perfectly complimented by contemporary green and white styling and florals by Jenny Wren and Wedding Flowers in Cornwall; along with rustic table and chairs from Virginia’s Vintage Hire and crockery and cutlery from Abbots Event Hire and Keeping it Vintage. All ceremony queries were helpfully and happily answered by the wonderful Boconnoc Church team and the Cornwall Registrars. The Coach House ceremony room featured a strikingly unique cloud installation by the incredibly talented Flowers by M, along with a sweeping floral creation in the doorway leading guests through. The Stable Yard set-up showed couples how they could create the perfect Friday night party vibe with El Huichol serving up top notch tacos and The Buffalo (mobile vintage airstream bar) mixing the most delicious passionfruit martinis. Fern Godfrey created an amber dream in the Soane Room with individual stems sitting in reused Tinkture gin bottles and bespoke napkins and perspex sign created by Made by Wood and Wood. Delicious bites were a highlight of the day. 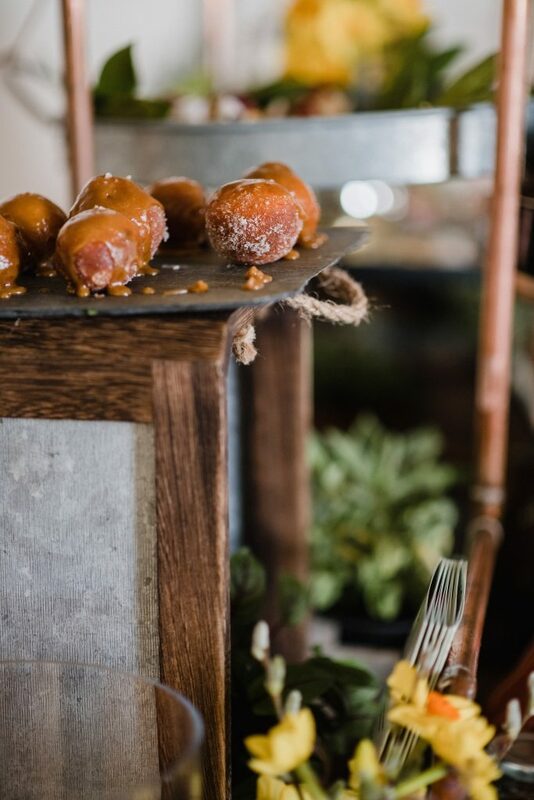 Fego food and their beautifully styled table served up everything from build your own bloody Marys with tomato consume, to salted caramel doughnuts and bang on trend bao buns. Beautiful and the Feast delighted couples with their world famous brownie bites (too good to miss)! Other sweet treats came from expert cake makers Peboryon, whilst photographer Nick Walker snapped away to capture the day. In the Smoking Room Flicks Box delighted guests with their eclectic box of props and their fabulous vintage photo booth complete with a totally tropical backdrop. Finished perfectly by a dazzling disco ball and uplighting by JHAV. Upstairs in the Bridal Suite Ro Hair showed off her impeccable knowledge on all things updo and tousled locks, whilst couples explored the delightful bedrooms and upstairs of the house. Our friends from Baxter and Ted filmed the whole day, we cannot wait to share these short films with you very soon. A huge thanks to all the suppliers involved, it truly was a magnificent day. Fabulous to see so many lovely couples and their friends and families and talk through all those exciting plans. 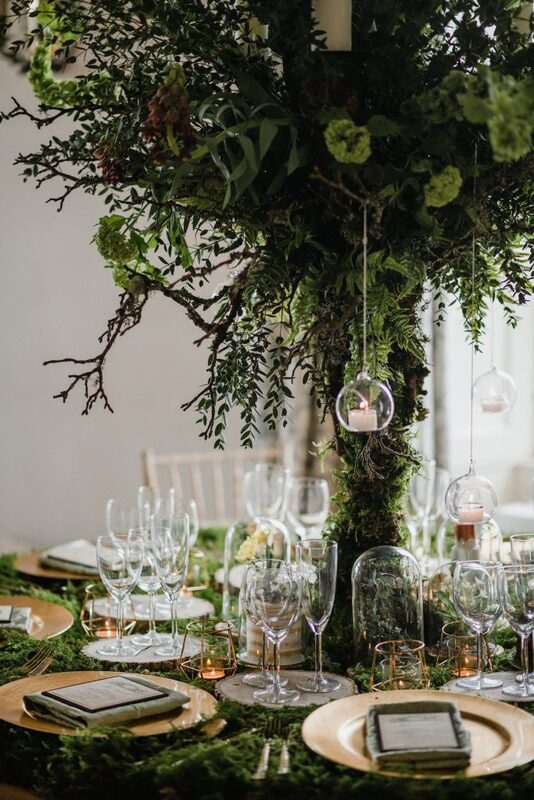 If these images leave you feeling inspired, get in touch with our Wedding Administrator Grace on events@boconnoc.com who will be delighted to tell you more.